With the advancement in biotechnology, we are now able to convert our knowledge of DNA, the chemicals and tools that are available, into an alternative way of fabricating genetic material. This is called DNA Synthesis. 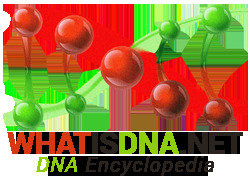 Each DNA is made up of a special order of four nucleotides and the process of DNA synthesis, in layman language, is nothing but a reassembly of these individual nucleotides in a sequence that is compulsory for the preparation of particular genetic matter. DNA synthesizers allow one to input the right sequence of these nucleotides and act on this information to deliver the synthesized DNA. The methodology for DNA synthesis was developed in early 1970’s. However, at that time, it was restricted to the production of oligonucleotides, which are diminutive DNA fragments and are classified as less than 200 nucleotides. The progression in DNA synthesis technology since then has resulted in our ability to manufacture DNA fragments as substantial as 50,000 nucleotides. These larger DNA’s are referred to as recombinant DNA. Together these two, i.e. oligonucleotides and recombinant DNA, build the classification for DNA synthesis industry. Because of the high costs and other factors associated with DNA synthesis, only organizations or institutions that are actively serving the research groups involved in biotechnology actually, pursue the DNA synthesis process. DNA synthesis technology, quite rapidly, has been adopted in many industries and areas of human life. Projects have been undertaken to produce renewable energy biologically as well as biosynthesis of bulk and fine chemicals is carried out. Expansions are underway in fields ranging from biological information processing to agriculture, public health, medicine and etc. The environment can be sensed, monitored and remedied via the advanced and powerful techniques of DNA synthesis. Overall, we are in a much better position to understand and interact with the world around us. However, not everything is good news regarding DNA synthesis. If the same technology goes into the hands of evil-doers, individual and global biological security is threatened and at risk. Misapplication of DNA synthesis can lead towards the production of biological agents that are of troublesome nature and hazardous for the human race at large. While any restrictions on the employment of DNA synthesis technology will have adverse effects on its widespread popularity and means of achieving economies of scale, there is a serious need to develop a central security framework that makes sure that the technology is applied to the best of mankind and not for other purposes.